Nintendo has been creating and innovating since 1889, when it began life as a company making Hanafuda Cards. It took the best part of a century for the company to move into the games console market and, when they did, they kept the emphasis firmly on fun and mental challenges. Nintendo have always excelled at creating games which mix learning with fun. Many of their games are based around solving puzzles, such as the Professor Leyton games, others help to develop practical skills, such as drawing. The flexibility of the Nintedo DS and 3DS makes them popular with everyone - from the One Direction boys, to Julie Walters and Patrick Stewart! Unfortunately, the same features that make the Nintendo DS and 3DS popular with games players are exactly the reasons why they are also popular with thieves. Additionally the consoles are designed to be enjoyed on the move, which means they are at greater risk of knocks, drops and spills. Join this group to use the buying power you share with fellow Nintendo owners and enjoy exclusive rates on your insurance. There were three key reasons why we chose to work with i-Digital. Is my Nintendo DS covered abroad? 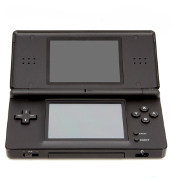 Yes, you can insure your Nintendo DS for loss and damage for a maximum of 90 days in a 12 months period. All repairs must be undertaken in the UK and approved by the policy underwriter. Are my downloads covered under the policy? Downloads are fully covered as part of the Premium policy, and cover is available as an optional extra for all other policies. Can I get insurance for my child's Nintendo 3DS XL? Yes, we understand that Nintendo consoles are a family affair and are perfectly happy to offer insurance for Nintendo 3DS XL for all members of the family. I have pets in the house, can I still get insurance? Yes, we'll cover you for damage caused to your Nintendo DS by your pets. Can I insure my Nintendo 3DS under my home insurance policy? You can check this with your home insurer, but it's important to understand what's included in the cover. Taking out specialist insurance for Nintendo 3DS can give you a better deal overall. "Very easy and quick to arrange the necessary cover for our holiday and very competitive in the price. Many thanks." "This is who I am insured with, excellent price and they will deal direct with the vets." "Their service is 5 stars. Very friendly and very helpful On the phone. We have had our pets insured with Petplan for many years and when ..."